"Every girls summer dream? Just like Helena Christensen on a Caribbean beach, umbrella drinks and prince charming around the corner... "
Mother of pearl buttons nr. 522, 2 - 3 pcs. for side slit. A beautiful necklace pattern! 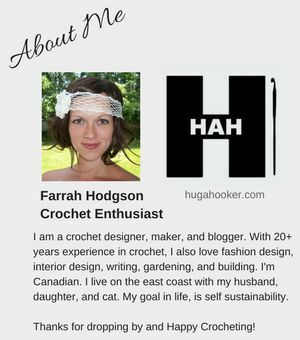 I love crochet jewellry! Size 7 & 0 (zero) hook and needle to take crochet thread. "Crocheted in easy-care yarn, this duster travels well and gives a lift to a plain outfit." 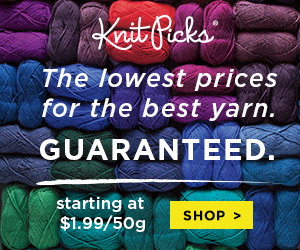 Supplies: RED HEART® Super Saver: 3 (3, 4, 4, 5) skeins 981 Fall. Crochet Hook: 6.5mm [US K-10½]. "Tahki Yarns Paris Crochet Tunic is just the thing for summer. It gives your skin plenty of air so that you can stay cool during those hot days, and it adds a bit of cover over a camisole or tank. " I have a little pattern for you today. 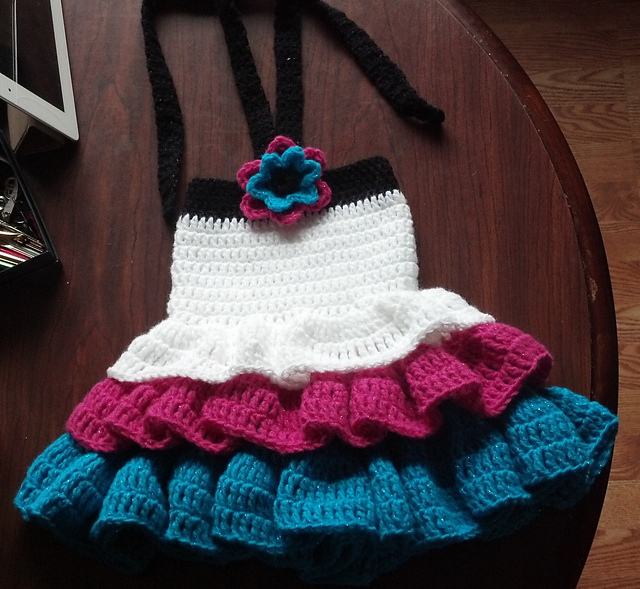 This is an adorable dress for a little girl, I love it! I love this very classy hat! A cute skirt pattern! 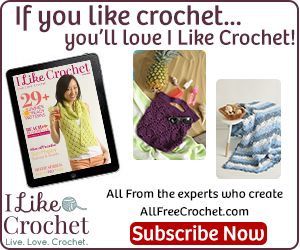 This pattern only gives directions for a small size, however, if your an avid crocheter, it would be quite easy to make it larger. Here's something a little different for you today! Now I wish I had a dog! Supplies: J. & P. Coats® “Crochet Nylon™”: 1 tube 16 Natural. Size: Collar: 1” wide x 9½” or desired length. This is beautiful and a great wedding apparel idea! "Light-weight, simple, elegant... wear it over a camisole, bathing suit, or sweater... this versatile top is a perfect accent to your warm-weather wardrobe." The hem on each side is split, allowing for a better fit around the hips, and edges are un-accented to draw attention to the straps. Each strap is designed to look like a flowered vine clinging to the body of the shirt, accenting the flowers worked throughout the body. 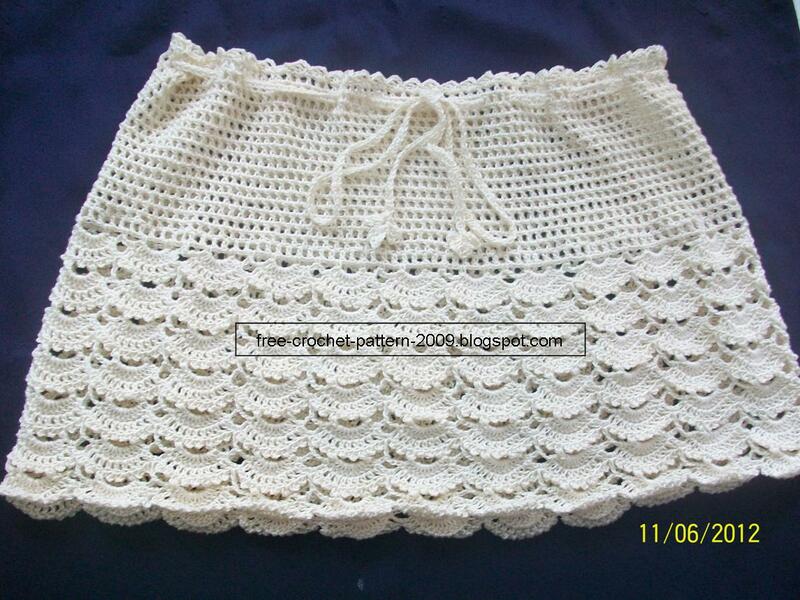 Size: This pattern can be made to fit any size(s). "Fun and retro for the beach!" CROCHET HOOK size 4 mm / G/6 – or size needed to get 18 sc x 20 rows vertically = 10 x 10 cm / 4'' x 4''. I need to make this cami for myself! It is pretty! Length – 21 1/2(22-22 1/2)" (Not including straps or bottom edgings). consideration when choosing your size. Shawl: Approximately 24 1/2” x 82”. BERROCO SUEDE (50 grs), 6(7-8) balls #3718 Holster for Camisole. BERROCO TOUCHE (50 grs), 14 balls #7922 Shiraz for Shawl. Crochet hook, size 4.50 mm (G) for Camisole, size 5.00 mm (H) for Shawl OR SIZE TO OBTAIN GAUGE. Two 12 x 12mm natural wood barrel beads (optional) for Camisole. Imagine the fun you'll have with trying out variations of colors with this pattern! And it's my mom's pattern, she owns several awesome free patterns! Yarn: I used smaller balls of yarn left over from other projects so I don't know how much this pattern would take. I would say no more than 3 - 50 g balls. 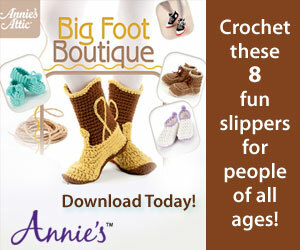 This pattern is great for using left over yarn though, so look through your stash before purchasing more. Use 3 colors, a dark color, a lighter shade, and white. In this pattern I used black, gray and white. There are so many color choices you could use that would look great. "Retro-style bikini for the summer!" DROPS CROCHET HOOK size 3 mm / C – or size needed to get 26 sc x 28 rows (24 dc x 13 rows) = 10 x 10 cm / 4'' x 4''.